Deep in the heart of Nevada - right in the middle of nowhere lies America's most famous gemstones. The process is harder and more labor intensive than what most people would imagine. 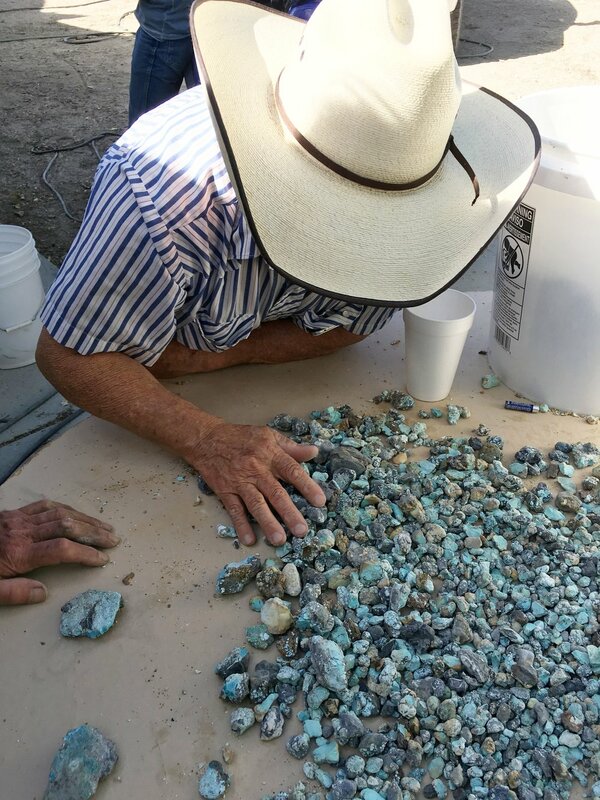 Explosives and heavy equipment are used to remove the overburden while tracking veins and pockets of Turquoise but so rewarding when those heavenly blue stones see their first light of day. 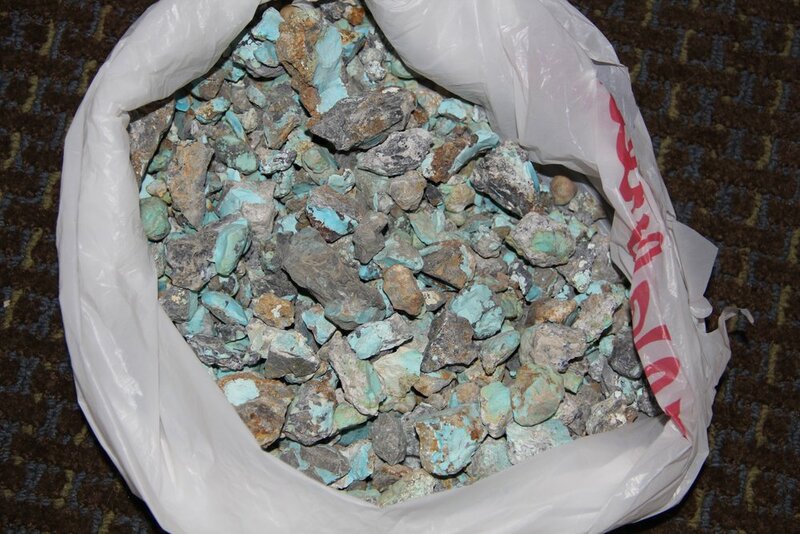 All of the rubble is raked by hand to reveal the Turquoise nuggets and stones. The moisture content at the Blue Moon mine sometimes make these nuggets hard to identify (not to mention the intense sun) as they are coated with a blackish-gray clay from the Black Chert host rock. I usually rake in 2 directions to make sure I don't miss any of the stones. As each stone is revealed, it's tossed into a 5 gallon bucket and carried out of the mine by hand. Once it's washed, sorted and graded, these stones are now ready to be cut by hand and used in beautiful jewelry. My husband's 1st trip to the mine - He's hooked. Miners Feet - No Steel toe boots for me. Blue Moon Turquoise Cabs - Gemstones! “TURQUOISE FEVER” Will Air On ISPN TV in July 2019! Please check for the listing with your cable service and set your DVR to record this groundbreaking show! 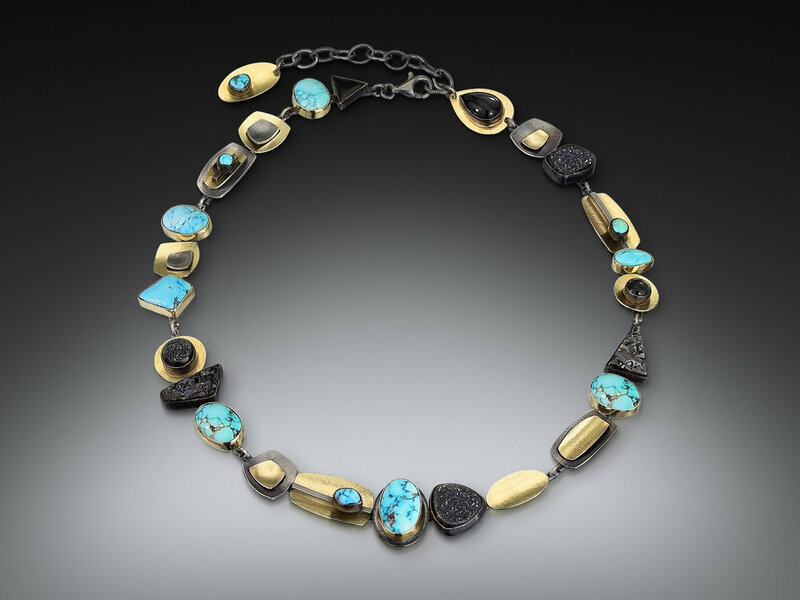 You will meet the family who honored me with the opportunity to mine the Turquoise I use in my work.